For those of you who don’t want to be spoiled about the ending to Fear Itself #6 or upcoming plot points in Fear Itself #7 then stop reading now, if it doesn’t matter to you then hit the link to read the rest of the post after the jump! 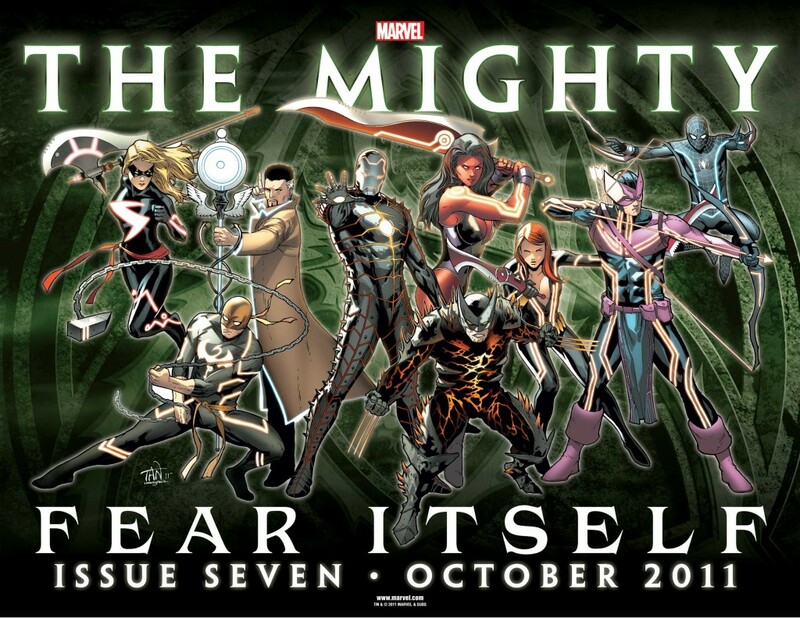 Marvel Comics has unveiled some pretty spoilerish stuff for those of you out there who have not yet read Fear Itself #6. At the end of Fear Itself #6 Tony Stark leaves Asgard with the weapons he created using science and magic. Marvel Comics has announced just who gets those weapons and what they are going to look like. Below I have posted the picture of “The Mighty”.